Thanks everyone, Im thinking the next will either be a windrunner flying through the air or a truthwatcher riding into battle on a rhyshadium. Hello everyone, its been a while since my last shardbearer. This time its a dustbringer. 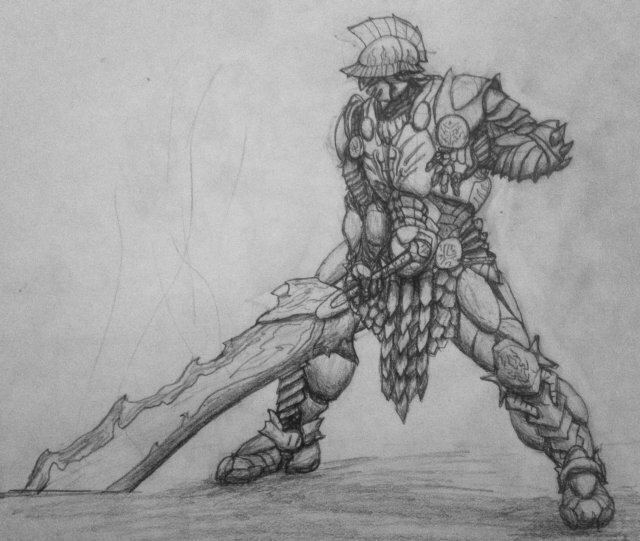 For this one I wanted to go for a roman gladiator vibe. The helmet is meant to resemble the crazy helmets worn by roman murmillo gladiators. I tried to put in some subtle flame designs in as well since I thought that fit the powers and personality of the dustbringers. The next in my series of radiant knight sharbearers. This time it is an edgedancer. For the edgedancer I wanted something sleek and sharp, while still retaining the bulk and power of the official shardplate artwork. I also wanted to incorporate some plant-life and reptilian designs as well. I am quite pleased with the end result. The next drawing in my series of shardbearers from the ten radiant orders. 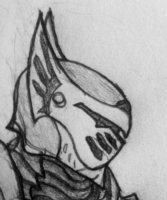 This design departs from the official drawings of shardplate the most and is meant to have a sharper and sleeker design than my previous drawings while still retaining the signature bulk and power of shardplate. 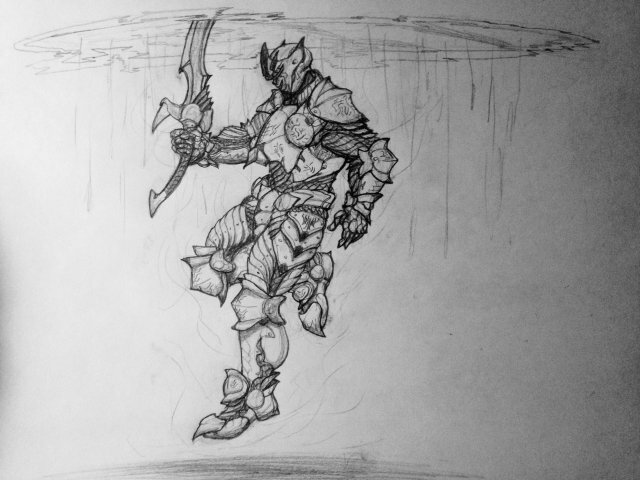 If you are wondering why the figure is descending through a giant portal it is because I wanted to show the shardbearer in the middle of elsecalling, and since I don't know what elsecalling actually looks like I imagined it like this. Hope you like it! 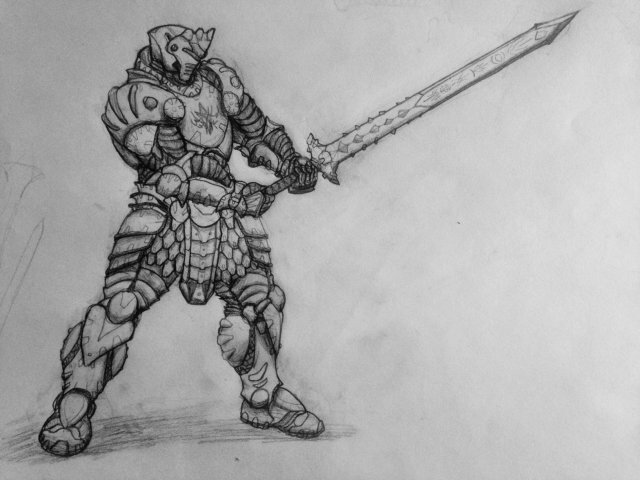 My concept of a full radiant knight of the stonewards. I tried to draw him in stone stance. 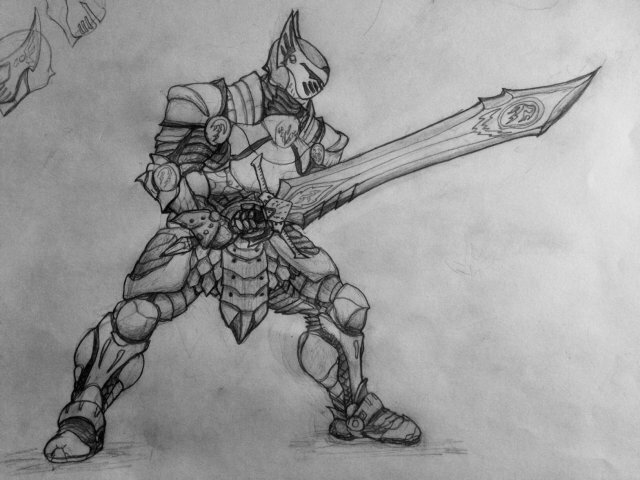 I think his pose is just a tad off, and his legs are massive, but overall, I am quite pleased with his armor and weapon. Only sketches, I have no affinity for colors, and all I've got is pencil and paper. When I drew this, I was thinking about how shardplate might look different between the ten orders. 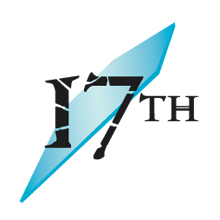 This one is a skybreaker, and I plan on making a similar drawing for each of the ten orders of radiants. 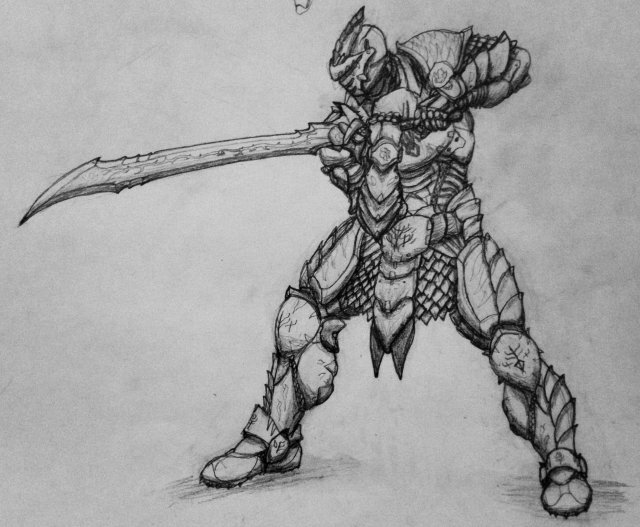 I am currently putting the finishing touches on a drawing of a stoneward with shardplate and shardblade. Thank you all, I'm glad you like it! this is the first in my series of sharbearers based off the ten radiant orders. 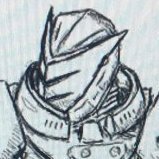 This first one is a skybreaker as noted by the symbol on his collar.